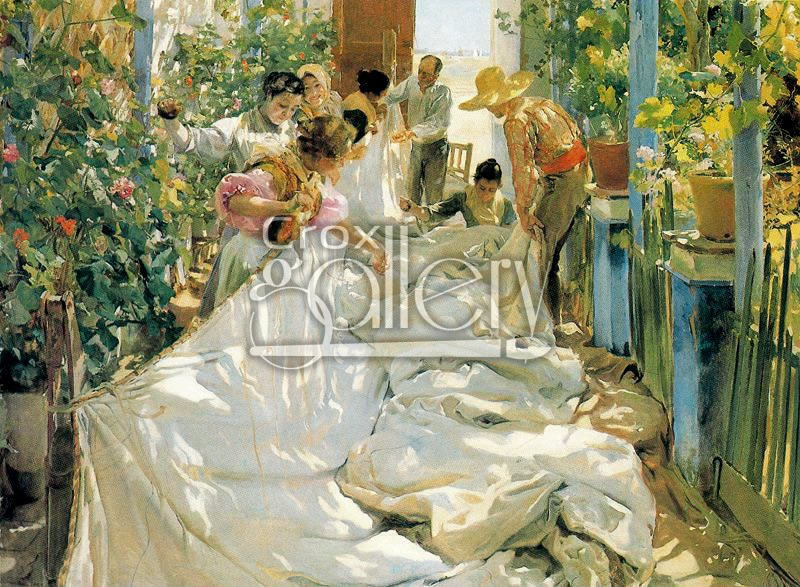 "Sewing the Sail" by Sorolla, Folkloric Spanish Painting. 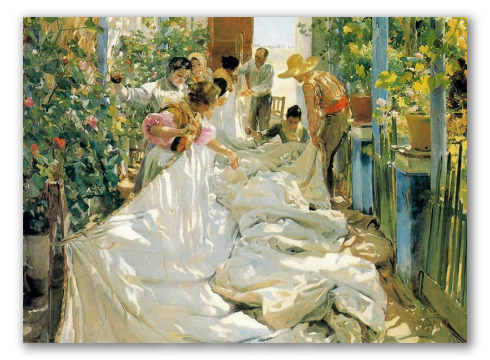 Sewing the Sail is an oil painting by Joaquin Sorolla y Bastida. The composition illustrates a group of people mending the sail of a boat in Valencia, Spain. The work belongs to a series of Spanish folkloric art by the artist.